Sure, there are a lot of good sandwiches in DC. Maybe you’ve been wowed by fish gyros, piled-high pastrami, tofu banh mi or foie gras-topped duck burgers. 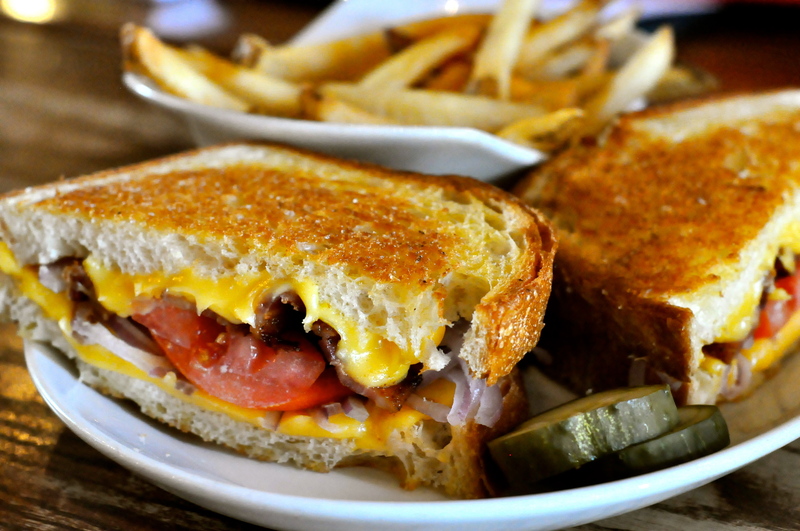 None of these match up to Stoney’s Best Thing on the Menu: Super Grilled Cheese. Eating the world’s most perfect iteration of what mom used to make, paired with a cold one, never gets old. They can even serve it with Campbell’s-like tomato soup! What’s so super about it? Bread that seems to be two parts butter, one part bread fried so crisp you can hear a cacophony of chewing on any given evening; tripled-up slices of melty American cheese the color of a harvest moon; thick-cut bacon, tomato and tangy red onion. Not feeling so super? Try the plain Grilled Cheese, Grilled Ham N Cheese or go gourmet with Rocket Cheese (arugula, Swiss cheese and grape tomatoes on multi-grain) or Chesapeake Cheese (4oz crab cake, Swiss, alfredo sauce and spinach on multi-grain). If this isn’t enough to stop falsely labeling Stoney’s as a dive bar, you can also try their Salmon BLT, Super Meatloaf Sandwich, or Boss of the Sauce Burger while watching your team play on a big screen or challenging your office mates to trivia. The only thing that remotely places them in this category is their very fair prices. The Super Grilled Cheese (with fries) will run you $9.95 or get it half off on Thursdays during happy hour (5:00-7:00pm). We’re looking forward to their second location on L Street, just one more way to maximize our Super Grilled Cheese intake. Super Grilled Cheese not your BTM? Post your favorites in the comments section. You might also like this. Become a fan on Facebook!